When creating or viewing highlights and notes in your book, a Share button is available on your Kindle Paperwhite (second-generation). 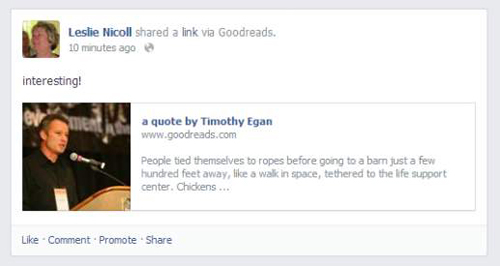 This button lets you share a note and a link to the selected passage through Goodreads. 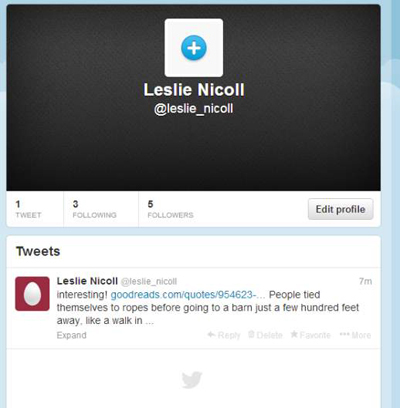 If you’ve linked your Goodreads account to Facebook and Twitter, your notes will be shared on those sites, too. You can do all this directly from your Kindle Paperwhite — no computer required! When you use your Kindle Paperwhite to share on Twitter, your tweet consists of your short note plus a Goodreads link to a list of quotes for the book you’re reading. From your Kindle Paperwhite, you can also update your Facebook status. An image of the book cover or a picture of the author (whatever is embedded in the book), an excerpt of highlighted text that you’ve selected, a note that you’ve written, and a link to the quote on Goodreads will be posted. To take advantage of these features, you need to link your Kindle Paperwhite to Goodreads. Then you add Facebook and Twitter. To begin tap the G (for Goodreads) icon on the toolbar. The screen shown in the following figure appears. 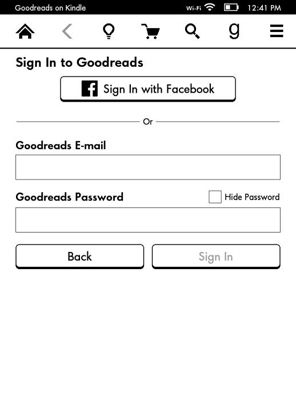 If you already have a Goodreads account, tap Connect Existing Account. 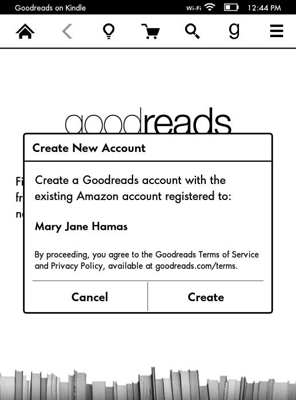 You can use your Facebook account, if you have one connected to Goodreads, or simply use your Goodreads credentials, as shown in the following figure. If you don’t have an existing account, tap Create New Account. 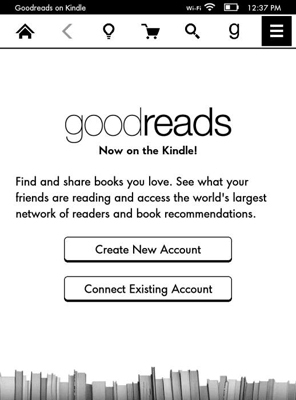 The screen shown in the figure below appears, asking you to create a Goodreads account with your Amazon credentials. Tap the Link Account button for Twitter. Enter your Twitter e-mail address and your Twitter password on the authorization screen that appears. 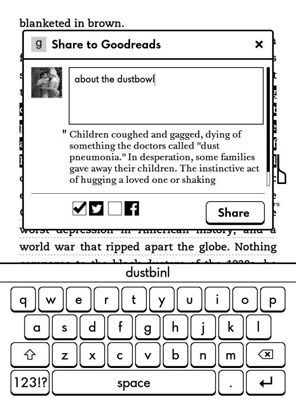 From within a book, select text by tapping and holding down on a word, and then slide your finger across the page. Enter your message in the text box that appears. Your note and a link to the selected book passage posts to the accounts you’ve linked to your Kindle Paperwhite (Goodreads, Twitter, Facebook). All comments will be shared to Goodreads. You have the option of sharing to Twitter and Facebook by tapping to select (or deselect) the box in front of the Twitter and Facebook logos, as shown in the following figure. You can share Twitter and Facebook updates for periodicals and personal documents. Shared items appear on your Facebook wall (as a status update) and will be tweeted from your Twitter account. These comments will be linked to your page at Kindle.amazon.com. Comments that you share from periodicals and personal documents are not posted to Goodreads — Goodreads is exclusively for books. When you finish a book, you can rate it and share it on Amazon and Goodreads.